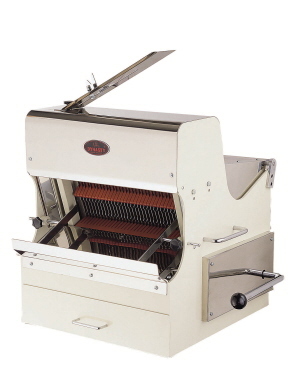 Unisource heavy duty, table top bread slicer. 1/2" slice. 110 volts. Heavy duty construction. Quiet slicing. 1 Year parts, 90 days labor. Unit was used at trade shows only. Full warranty. Perfect condition.